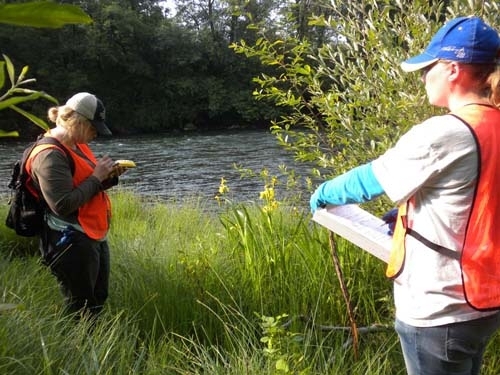 The purpose of WIN is to create and strengthen collaborative management, prevention, and awareness of invasive weeds and other invasive species of concern in northwest Oregon and southwest Washington. 1. Better invasive weed control: Landscape-level management and sharing of best management practices promotes more effective control plans and more efficient implementation. Weed invasions can be prevented or slowed, without needless duplication of effort. 2. More funding for weed coordination activities: Cooperative efforts such as those embodied by Weed Management Areas increase the likelihood for success. As such these efforts tend to be favored for funding. In addition multi-partner activities increase the visibility of weed problems, raising the awareness of decision makers and the general public. 3. Greater efficiency in use of funds and staff: The coordination offered by the WIN helps to facilitate cooperation and provides a conduit to share information across organizations. As such the duplication of effort is reduced, and funds and staff can be redirected toward other weed management priorities. Even when local entities work together, there is often an unmet need both for coordination (getting meeting dates, setting and distributing agendas, researching funding sources, etc.) and temporary support in key areas, such as data management and grant writing. By providing such services, the WIN can greatly leverage the efforts of individual members. This leads to a synergistic response between partnership members where capacity is increased, while simultaneously decreasing the time and effort required of each partner.